In her pre-concert talk, visiting baroque violinist and CTB patron Antoinette Lohmann explained the concept of “gesture” in baroque and early classical music as an important aspect of musical expression for that period, in which the style of writing was often narrative or descriptive. Baroque pieces often describe elements of the weather like Vivaldi’s Four Seasons, or pantomime scenes from everyday day life using recognisable characters, like the village drunk; the strict father who wants his daughter to marry a doctor; the sneaky lover hiding in the cupboard; etc. “Gesture” in this context refers to the musical description of various characters and their emotions, so that the audience can identify them merely by their music. Mysterious indeed, the opening work plunged deeply into the darkness of the eerie organ, cello, and lute, with bright unexpected bursts of virtuoso from the violin, in which Lohmann’s skill and dexterity beamed through the clouds. She draws such a lovely warm tone from her instrument, a Flemish baroque violin c. 1700. Beautifully intoned double stops highlighted her skill and convinced me to look out for her next performance. At full tuti, CTB never disappoints with amazing synchronism in entries and tempo changes. Words on a screen can not describe the amazing atmospheric sound of these period instruments, but the feeling is of being transported back to a time where everything seemed new and unjaded, and the imagination is free to fantasise, or one can explore inner contemplation within the unspoiled environment of the pre-industrial age. It is quite amazing that the authentic sound of these baroque instruments has the ability to effect our brains in this way. The work is a portrayal of everyday life, consisting of short descriptive musical “gestures”. The interpretation was excellent and at times quite comical, for example “Il Gatto” – the cat, a deliberate and self-referential parody that must be hundreds of years old, where bad string playing sounds like cats fighting. 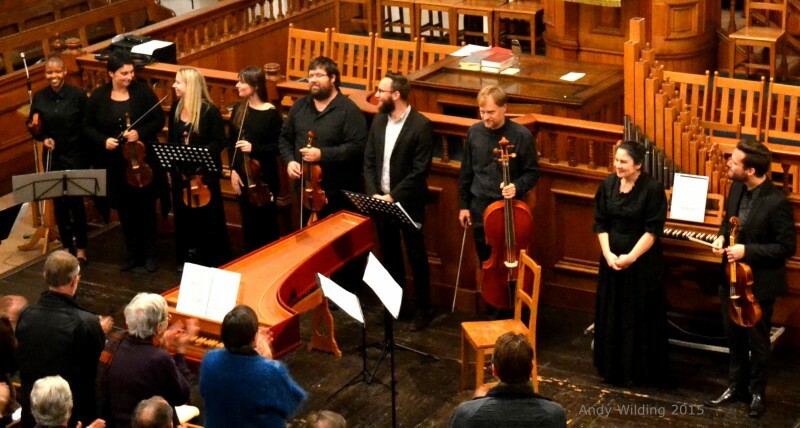 This jewel of the evening shone with the most exquisite ensemble work, most notably between violin and harpsichord (Lohmann, Dippenaar); just violins (Lohmann, Olifant, Clay, Shaw, Harley); and cello and harpsichord (Huyssen, Dippenaar). 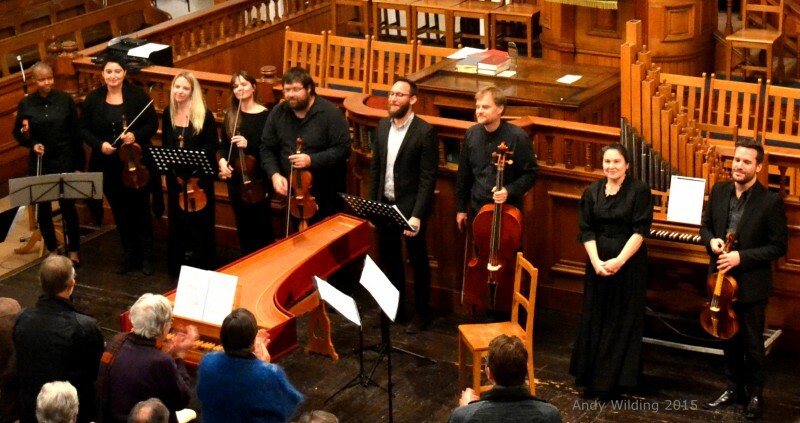 It is also worth noting that in the selection of works, (Dippenaar – Artistic Director) this concerto is outstanding in it’s lyrical melodies and modal accidentals – an example of baroque at its most transcendental. While listening to the opening movement of this solo work, I felt very fortunate to be attending the concert. It was a story told by the harpsichord player, with the movements being announced before commencement of each. The well-known story took place in our imagination, prompted by dramatic musical gestures of surprising and impressive skill. The first movement was delightful, “The boasting of Goliath” – an utterly over-decorated pompous parade, verbose, over the top, and hilariously narcissistic – the pride before the fall. The second movement, “The trembling of the Israelites” had me in hysterics. Hunched over the keyboard, terrified, hesitating with each bar, Dippenaar’s interpretation was priceless. 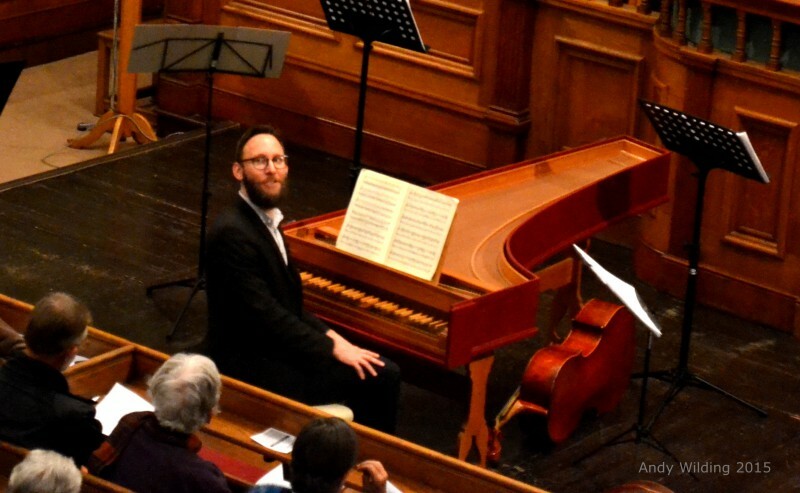 To see the most famous dual in biblical history played on a harpsichord, one of the lightest and most filigree of all instruments ever created, is really a testimony to the limitlessness of our imagination, and suggests the extent to which our imagination has been lobotomised and dumbed into stagnation by the sensationalism and visual effects of modern forms of entertainment. What a wonderful return to this kind of story telling, where the bard addresses us between movements to prime our imaginations for the next section of the story. Lohmann explained* that she and a colleague Franz Beyer had reconstructed the voices from only the violin score. It must be noted that the orchestration was brilliant, dramatic, rich, and convincing, but the true test of the work is whether or not the musical gestures can be interpreted by the audience and understood to reflect the natures and moods of the various characters, and on this score, CTB could not be flawed. I found I could distinguish the events and characters in the program, and the work neatly drew together the concept of musical gestures. 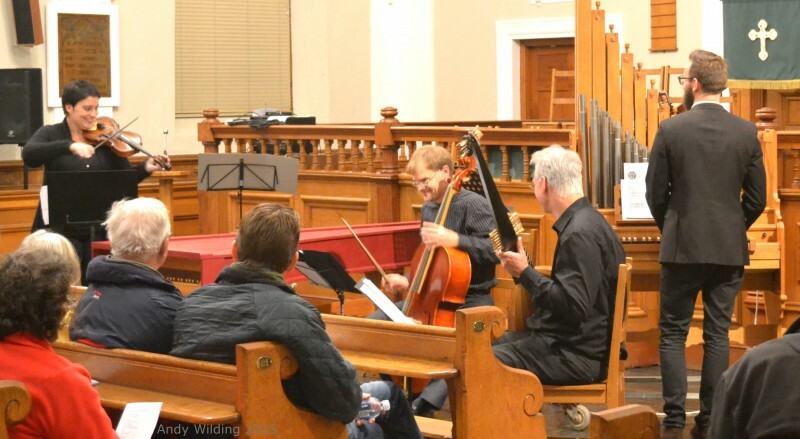 This entry was posted in Classical Music Review, Concert Review and tagged #AndyWilding, #ClassicalReview, #ConcertReview, Antoinette Lohmann, baroque orchestra, Camerata Tinta Barocca, CTB, period instruments. Bookmark the permalink.